Back in 1988, when I’d recently arrived from Nottingham to work in Dublin, an intellectual asked me why I’d come to Ireland to take a job that could have been filled by an Irishman. This raised questions of Irishness, charity, welcome, and his cerebral stenosis. And my sanity. Back then things were not so good economically as they became a decade later, so maybe the inquisitor was mindful of inherited notions of poverty that, if you believe what you hear, only Ireland has suffered. Self-pity is a wondrous thing. 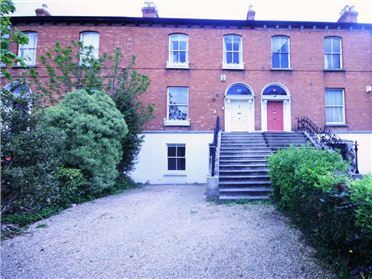 At that time we lived in a money-pit in Co Wicklow, and I worked in Dublin with, amongst others, inhabitants of West-Kensington-by-the-Liffey, whose knowledge of poverty, I can only assume, must have been truly profound. Once these people established that I was related to nobody that mattered and nobody they knew, I became invisible. This allowed me space to observe. And observe I did. Fortunately, I found good friends who had a surer grasp of Dublin’s latitude and longitude. I come from part of England that has been trampled afoot by conquistadores from Scandinavia, Rome, Scotland, Normandy, Scotland (again and again) and Westminster. And now Brussels. The BBC thinks it’s part of the same region as Liverpool and Manchester. Other institutions regard it as part of Newcastle-upon-Tyne. People assume that my accent comes from Yorkshire. They are all wrong. The churches of the region are dedicated to people like Oswald, Ninian, Kentigern (Mungo), Hilda, Columba and—wait for it—Patrick (how that must sting!). Yet my worthy assailant felt that I was an unwelcome interloper. I’ve been confronted by a similar question recently from someone who resents eastern Europeans taking Irish jobs. His family depended years ago on one of them finding work in London. Geneticists tell us that there is no such thing as pure Irishness, or pure Celticness, or pure anything. The Celts came from way over east. Aran islanders, I’m told, have genes from Cromwellian soldiers. This must be truly shocking. At a recent Remembrance Sunday political speech, I heard about the sufferings in the two world wars of the French, Germans, Belgians, and Irish, but only of oppression by ‘our near neighbour’. I heard nothing about the sufferings of the Russians who suffered more than the rest put together, but that’s for another day maybe. The faux-Irishness that has infected this culture seems to have grown up really as an anything-but-Englishness. This entry was posted in A great future behind me, Pastoralia, Theology by Rambling Rector. Bookmark the permalink.